This first notebook of Saint Faustina begins her private revelations given from the Heart of Jesus to her. She writes in a beautiful and simple way. Though, as mentioned in the introduction to this book, her actual words are not quoted in these reflections that follow, the messages that she received and articulated are presented. In truth, her messages are those contained in Sacred Scripture and in the Tradition of our Church. And if you were to read through the lives and teachings of the saints, you would find the same revelations. God has always spoken to us throughout the ages. He speaks the one Message of Truth, and He reveals that Message in love. The revelations to Saint Faustina are one new way that God continues to speak and reveal Himself to us, His sons and daughters. The reflections in this first chapter, based on the first notebook, are intentionally short and focused. They are a way for you, the reader, to slowly and carefully listen to the Heart of God spoken to this great saint. Read these reflections slowly and prayerfully. Ponder them throughout the day and allow the Lord to speak to You the message He wants to give. To comprehend, experience and offer The Divine Mercy of God we must first adore the Most Holy Trinity. If we could but fathom just a glimpse of true adoration of the Most Holy Trinity, we’d be left speechless, silent, overwhelmed with peace, contentment and joy (See Diary #5). Strive, today, to ponder the mystery of the Holy Trinity and the privilege and duty we all have to adore in a profound way. O eternal Trinity, with the light of understanding I have tasted and seen the depths of Thy mystery and the beauty of Thy creation. In seeing myself in Thee, I have seen that I will become like Thee. (Act of Thanksgiving to the Trinity, from St. Catherine’s Dialogue on Divine Providence). Adoration and love of the Most Holy Trinity take place, first, within our souls. Deep within each one of us God offers an invitation to adore Him. It is there, within the soul, that The Divine Mercy of God is encountered. It is there that we begin to learn what Mercy is all about (See Diary #6). Spend time, today, pondering the indwelling of the Most Holy Trinity. God is there, living within your own soul. Seek Him, love Him and adore His divine presence. Most Holy Trinity, I love You and adore You as you live within my soul. May I seek You more deeply and come to love You with all my heart. Jesus, I trust in You. Within our souls we must seek to hear God speak. He speaks in the silence and in the depths. He speaks, first, an invitation. He speaks an invitation to know Him and to encounter The Divine Mercy flowing from His Heart. The invitation is only that: an invitation. Jesus’ Mercy is not imposed or forced. For that reason, the invitation requires a response and our response will determine the depth of Mercy we open ourselves up to receive. The response must be that of loving and holy obedience to Him Whom we hear speaking (See Diary #7). Ponder two things: 1) Do I hear the invitation from Jesus to receive His Mercy? Hearing is the first step. Without hearing we cannot respond. 2) How do I respond to that invitation when I hear it? Am I willing to accept it on the deep and all-consuming level that it was offered? If so, it will change your life. Lord, I know You constantly speak to me in the silent depths of my soul. Help me to be attentive to Your voice amidst the noise of this world. And as I hear You speak, help me to be generous in my response accepting Your gift of unlimited Mercy and grace. Jesus, I trust in You. So often in life we seek satisfaction from the passing things of the world. Be it riches, fleshly pleasure, prestige, or anything else, we must come to discover that one thing and one thing alone satisfies. The Divine Mercy of God is what we seek. Everything else is an illusion of satisfaction. If we try to satisfy our souls with other things, we will be left in interior sadness, anguish and disillusion. The Mercy of God keeps calling out and inflicts a sweet pain until we respond (See Diary #8). Reflect upon the “sweet pain” inflicted upon your soul every time you try to find satisfaction in something other than God’s Mercy. It’s “sweet” because it’s a rebuke of love from God calling us to trust only in His Mercy. It’s “painful” in that we should allow ourselves to see clearly that attachment to anything not of God does not sit well in our soul. Every attachment to things outside of God’s Mercy will ultimately be experienced as a burden. Lord, may I allow myself to feel and experience Your Mercy calling me to turn from all that is not of You. Help me to run to Your Mercy in all things and to turn from those things that ultimately weigh me down and are painful and burdensome. Jesus, I trust in You. Fall down before God. Prostrate yourself before Him. If you can, do it literally. If it would be a distraction to others then do it interiorly. Fall down prostrate before God and beg Him to show you His Divine Mercy and His most holy Will. There are many times in life when a simple prayer or two are not enough. What we need is to totally abandon ourselves before God. Of course this is what we must do every day all day. But in order to carry this interior disposition of total abandonment to God, we need concrete moments when we make this our absolute and complete act of surrender (See Diary #9). Reflect, today, upon how deeply you pray. Do you only offer a few prayers here or there? Or do you take time each week to make an act of complete abandonment and surrender to God. Do you intentionally lay your life before our Great God in total love and trust? If you are not sure, then make sure you do so today. Lord, I abandon myself into Your hands and trust in Your perfect goodness and Mercy. I prostrate myself before Your Divine Majesty and surrender to Your loving care. Jesus, I am totally Yours. Jesus, I trust in You. Mercy is given in numerous ways. Among the many channels of Mercy, seek it through God’s holy priests. Let His priest listen to you, speak to you and direct you. Priests are weak and are sinners. But in their weakness they are given a special grace to direct souls. The priesthood is one of the most visible channels of Mercy in our world. Pray for priests and let God speak to you through them (See Diary #12). Call to mind the priests God has placed in your life. Pray for them, support them and encourage them, but also be open to the ways God pours forth His Mercy on you through them. God comes to you through them in countless ways if you but have eyes to see and ears to hear. If you have truly sought out our Divine Lord, then ask Him if He will accept you into His Heart and into His holy Will. Ask Him and listen to Him. If you have surrendered all and offered yourself to Him, He will respond to you telling you that He accepts you. Once you are given to Jesus and accepted by Him, your life will change. Perhaps not in the way you expect it to change, but it will change for the good in a way beyond what you could have hoped for or expected (See Diary #14). Reflect upon three things today: 1) Do you seek Jesus wholeheartedly? 2) Have you asked Jesus to accept your life without reserve by your total surrender? 3) Have you allowed yourself to hear Jesus say to you that He loves and accepts you? Follow these simple steps and let the Lord of Mercy take control of your life. Lord, I do seek You with my whole heart. Help me to find You and to discover Your most holy Will. As I find You Lord, help me also to let You draw me to Your merciful Heart so that I may be totally Yours. Jesus, I trust in You. Once Jesus has accepted you and taken possession of your soul, do not worry about what is next. Do not expect life to change dramatically right away, but do not be surprised if it does. All that matters is that you daily renew the gift of yourself to His merciful Heart and that you allow Him to daily renew His acceptance of you in His Heart (See Diary #15). Look, today, at how often you renew the total giving of yourself to Jesus. Do you do this daily? Have you done so today already? Make this a daily habit and let the Lord work miracles in your life. Lord, I do renew my total self-giving to You this day and every day. May I turn to You always and abandon myself to You in every circumstance of life. Jesus, I trust in You. Being accepted by Christ and living within His merciful Heart will lead you to discover how much He loves you. He does love you more than you can imagine. Let yourself begin to discover that love. Savor it, believe it, understand it and seek it all the more (See Diary #16). Spend time today pondering one simple fact. You are loved. You are loved by our Divine Lord Jesus with a greater intensity than you could ever imagine. Sometimes we fail to recognize this fact and, as a result, fail to let His love enter in. Ponder His love for you today and let it begin to sink in more deeply. Lord, I know that You love me but I also know that I do not understand the full extent of Your perfect love. Lord, help me to see Your love more clearly and to allow that love to sink into the depth of my soul. Jesus, I love You. Jesus, I trust in You. Encountering Jesus in your soul will have the effect of leading you to long for more. Do you long for more of Jesus? Do you long for His Mercy? The desire for Him, the desire for more, stretches us and enables us to receive more of His Mercy every day. Let the desire for our Lord grow in abundance within you (See Diary #18). Spend time, this day, looking at your heart. Is it daily being stretched by the abundant Mercy of God? Do you see your soul being filled each day to the point that it feels like bursting with gratitude and overflowing with love? If not, know that God wants to pour this abundance of Mercy into your life. Lord, I am open to You and Your Mercy. But I know there is so much more that You wish to pour out upon me. I know You desire to fill my soul with Your grace to such an abundance that it overflows with love of You and with love for others. Help me to be open to this abundance of Your love and Mercy. Jesus, I trust in You. At times, when we seek to know our merciful Lord all the more, He will appear to be silent. Perhaps sin has gotten in the way or perhaps you have allowed your own idea of God to cloud His true voice and His true presence. At other times, Jesus hides His presence and remains hidden for a reason. He does so as a way of drawing us deeper. Do not worry if God seems silent for this reason. It’s always part of the journey (See Diary #18). Reflect, today, upon how present God seems to be. Perhaps He’s abundantly present, perhaps He seems distant. Now set that aside and realize the fact that God is always intimately present to you whether it feels like it or not. Trust Him and know that He is always with you regardless of how you feel. If He seems distant, first examine your conscience, admit any sin that may be in the way, and then make an act of love and trust in the midst of whatever you may be going through. Lord, I trust in You because I believe in You and in Your infinite love for me. I trust that You are always there and that You care for me in all moments of my life. When I fail to sense Your divine presence in my life, help me to seek You and to trust You all the more. Jesus, I trust in You. The greatest suffering we can endure is a spiritual longing for God. Those in Purgatory suffer greatly because they long for God and do not yet fully possess Him. We must enter into the same purification here and now. We must let ourselves long for God. We must see Him and realize we do not yet fully possess Him and that He does not yet fully possess us because of our sin. This will be painful but is necessary if we are to be purified of all that keeps us from His perfect Mercy (See Diary #20-21). Reflect upon the fact that the spiritual purification of your soul is necessary. Ideally, we will all embrace this purification here and now. Why wait? Do you seek to grow in this purification? Are you willing to let your soul long for God and have Him as your one desire? If so, all else in life will fall into place as you seek Him and as you discover the Divine Mercy that awaits. Lord, please do purify my soul in every way. Allow me to enter into my purgatory here and now. Let my soul become consumed with a longing for You and let that desire overshadow every other desire in my life. Jesus, I trust in You. As you grow deeper in your relationship with God you will have many moments of struggle as well as many moments of consolation. Do not be afraid of moments of dryness and interior suffering. They are necessary and part of God’s method of holiness for you. In those moments, raise your eyes to Jesus. See Him in His glory and beg for His Mercy (See Diary #22-23). Honestly look at your soul this day. Ponder all that you experience interiorly. Ponder, especially, all that only you are aware of. Do you find pain and suffering within? If it is a result of your own sin then rejoice that you see this. If it is the result of God purifying you, then rejoice that He loves you enough to let you go through this spiritual dryness. Look to Heaven and give thanks for all that you experience interiorly, for that which is in your soul is the presence of God leading you to Himself. Lord, at times I feel dry and dead inside. At times I wonder where You are and if You are with me. Help me to have hope and trust in those moments and to see them as a pathway to a deeper faith in You. Help me to turn to You in these moments so that Your gates of Mercy may be opened ever more widely. Jesus, I trust in You. At times God imposes trials upon us. This is done out of love to strengthen us and to deepen our love of Him. Look at what it is that you experience as a trial. Ask God if this is from Him and what good He wants to bring from that trial. Trials always have the potential of making us stronger. If you are experiencing a certain interior trial in life, know that it is in this moment, more than any other, that God wants you to renew your trust in Him. Do it even if you do not feel like doing so. Trials are the greatest opportunity for our faith, hope and love to grow (See Diary #24). What is your greatest trial right now? Identify whatever that may be and know that Jesus understands. Reflect upon Him coming to You in this moment, embracing this trial with you and in you. His strength is perfect and He will lead you through all things. In the process, He will fill you with a greater faith, hope and love. Lord, I know that my trials in life are a grace. They may not seem to be at the moment I endure them but they are. Help me especially with (state your current intention). I surrender this situation to You and thank You for Your perfect love and strength. Jesus, I trust in You. Just at the right time, if we are wholeheartedly seeking God every day, we will find that we receive a moment of consolation. It may be an unexpected peace or joy, we may feel enlightened and encouraged, or we may just sense the presence of God in our lives. Whatever the case may be, remember the moments of consolation you receive. They will not accompany us every day, but they are given at certain moments to remind us God is with us. Remember those moments, especially when you struggle (See Diary #27). Reflect, today, upon the last moment you experienced some grace or consolation from God. What was He telling you through that experience? Ponder it, sit with it, be grateful for it and remember it. Let God speak to you through those experiences and never forget what He says. Lord, I thank You for loving me with a perfect love. I thank You for coming to me in the moments I need You the most. Help me to always savor those moments and to remember them when life is difficult. Jesus, I trust in You. We cannot come to know God in His essence. He is beyond us and is unfathomable. But we can get to know God by seeing His actions in our lives and in the world. Look at His attributes. Look at His works. Look at what He has done in your life and in the lives of others. He is Omnipotent, All-Knowing, All-Loving and bestows all that is good in superabundance (See Diary #30). Reflect, today, upon the unfathomable nature and essence of God. Knowing that we can never fully comprehend the perfection of God is the first step in coming to know Him more intimately. Humble yourself, this day, before the great mystery of our God and let His untouchable nature touch you in your heart. Lord, You and Your ways are beyond me. Yet in the mystery of Your divine presence I come to know You. Help me Lord, as I ponder Your divine essence, to be drawn into a deeper love of You. Jesus, I trust in You. Throughout life you will be hurt by the sins of others. This is inevitable. The real question to ponder is what you do with this hurt. Will you hold onto it and brew over it? Or will you forgive? But forgiveness is not enough. You must let the Divine Mercy so enter your soul that you not only forgive, but also allow this Mercy to fill your heart with compassion. You must let God’s Mercy inspire you to love deeply. You must come to pray for those who have hurt you and, in doing so, dispense the grace of God to them. You are a dispenser of God’s Mercy when you allow forgiveness to flow from your heart to the hearts of those who have hurt you (See Diary #31). Humbly ponder your calling to be a dispenser of the compassion of the Heart of Jesus to those who have sinned against you. This is a high calling and requires deep surrender and love. But it is the only way to freedom and is the only way God’s Mercy will fill your own soul. Lord, I choose, this day, to forgive all who have wronged me. Help that act of Mercy to flood my mind, heart, passions, feelings and every part of my soul. May I be a dispenser of Your perfect and unlimited love for all. Jesus, I trust in You. So often in life we can fall into the trap of believing that we are satisfied by worldly and passing things. We can even be fooled into thinking that our sins satisfy us. And, in a strange way, they do offer a temporary satisfaction of sorts. But this “satisfaction” is shallow and deceptive. When we come to the profound realization that nothing but God satisfies our souls, we will be blessed and we will be disposed to seek true satisfaction only in Him. This comes about only through a deep recognition of His Mercy (See Diary #42). Do you long to be satisfied by the Mercy of God? Do you seek out His Mercy every day? Reflect upon the desires within your heart. What do you long for? Let God’s grace free you from unhealthy and foolish attachments and desires this day so that your desire can be set on God and God alone. Come to me, Lord, in Your abundant Mercy and free me from the desires of this passing world. Help me to desire You above all things and, in that desire, to be overwhelmed by Your divine love. Jesus, I trust in You. Do you understand the Passion of our Lord? Do you perceive His sufferings in your soul? This may, at first, seem undesirable. But perceiving the sufferings and Passion of our Lord is a great grace. As we perceive His suffering we must then encounter it and embrace it as our own. We must live His sufferings. In doing so, we begin to discover that His suffering is nothing other than divine love and Mercy. And we find that the love in His soul which endured all sufferings enables us to endure all things in love. Love endures everything and conquers everything. Let this holy and purified love consume you so that you can endure, in love, whatever you encounter in life (See Diary #46). Gaze upon the crucifix this day. Gaze upon the perfect Sacrifice of Love. Gaze upon our God who willingly endured all things out of love for you. Ponder this great mystery of love in suffering and love in sacrifice. Understand it, accept it, love it and live it. Lord, Your Cross is the perfect example of sacrificial love. It’s the purest and highest form of love ever known. Help me to understand this love and to accept it into my heart. And as I accept Your perfect Sacrifice of Love, help me to live that love in all that I do and in all that I am. Jesus, I trust in You. At times we experience life as difficult. Our spiritual life may appear to be dry or overwhelming. Our sins may seem to be too much to overcome. And our relationship with God may appear to be too difficult to foster. But these experiences are all graces that invite us to seek God and His Mercy all the more. One grace we receive, as we need it, is the friendship and guidance God gives us through other people. Look for Jesus in others. Let His Heart reach out to your own in the people He places in your life. God is there, not only in the saint, but also in the sinner. Seek to discover the presence of God in each and every soul (See Diary #53). Reflect, today, upon the people God has placed in your life. Begin with family but think also about each and every person whom you encounter. Some may be encountered only once, others every day. Know that God dwells in each and every one of them. Do you seek to meet God in each person? Try to look beyond the surface and discover the indwelling of God in them. When you see Him, you will find much more joy in each and every person you meet. Lord, You promise to come to each one of us and to live within us. Help me to constantly seek Your divine presence in each and every person I meet. Help me to find You in my family and friends, in those at work or within the community. Help me to see You in the stranger I meet in passing and in every soul around me. As I discover You, help me to love You in them. Jesus, I trust in You. There are three words to ponder today: humility, simplicity and sincerity. Humble souls see and know God because they do not turn to themselves in their need. They recognize that God is everything and, without Him, they are nothing. Simple souls do not get caught up in the complications of life. They are able to cut through the countless distractions and live a childlike trust in God. Sincere souls are honest souls who are pure in heart and pure in their intentions. Be honest and truthful in your Christian walk and God will overwhelm all that is not of Him in your life (See Diary #55). Ponder these three gifts today: humility, simplicity and sincerity. How well do you live them in your life? If one stands out as the most challenging, then sit with that for a while. Let God speak to you as you open your heart to His Mercy. Lord, I open myself to the gifts of humility, simplicity and sincerity. Help me to see each of them as a precious gift that You wish to bestow upon me. May my mind comprehend them and my will embrace them. Jesus, I trust in You. Some may feel as though their lives are dull and monotonous. It’s the same thing day in and day out. Sometimes we seek some new excitement and experience. But if we allow grace to accompany us, every day, throughout the simple, repetitive and monotonous aspects of life, we will discover that life is always new. Every experience is a new moment and a new grace. We will never tire of our daily duty because we will discover God alive and fresh in every moment, making all things fruitful and beautiful. When we live in the grace and Mercy of God, we will discover joy and excitement in the smallest and most repetitive of daily activities. This is a Mercy that enables us to love life every moment of every day (See Diary #62). Reflect upon your daily duty. Are there things that you dread each day? Are there chores that seem thankless and tiresome? Try to envision our Lord walking with you through every moment of every day. See Him with you in every activity, be it great or small. Know that every action you do can become an act of love for God. When this happens, you will begin to discover greater joy in life. Lord, I invite You to accompany me on my daily journey. I invite You into every big and small duty I have. Help me to make everything I do, be it big or small, living gifts of love to You. In that love, help me to joyfully discover and live in your Mercy. Jesus, I trust in You. It’s easy to fall into the trap of thinking that, because we follow Jesus, we should be continually consoled and comforted in all we do. Is that true? Yes and no. In one sense, our consolation will be continual if we always fulfill the Will of God and know we are fulfilling it. However, there are times when God removes all spiritual consolation from our soul out of love. We may feel like God is distant and experience confusion or even sadness and despair. But these moments are moments of the greatest Mercy imaginable. When God seems far away, we should always examine our conscience to make sure it is not a result of sin. Once our conscience is clear, we should rejoice in the sensory loss of God’s presence and the loss of spiritual consolations. Why? Because this is an act of God’s Mercy in that He is inviting us to obedience and charity despite how we feel. We are given the opportunity to love and serve even though we sense no immediate consolation. This makes our love grow stronger and unites us more firmly to the pure Mercy of God (See Diary #68). Reflect upon the temptation to turn from God the moment you feel down or distressed. See these moments as gifts and opportunities to love when you do not feel like loving. These are opportunities to be transformed by Mercy into the purest form of Mercy. Lord, I choose to love You and all whom You put in my life regardless of the way I feel. If love of others brings me great consolation, I thank You. If love of others is difficult, dry and painful, I thank You. Lord, purify my love into a more authentic form of Your Divine Mercy. Jesus, I trust in You. A speck of dust or a grain of sand are somewhat insignificant in most circumstances. No one notices one speck or one grain in the yard or even on the floor of a home. But if either were to enter the eye, this grain or speck becomes immediately noticeable. Why? Because of the sensitivity of the eye. So it is with the Heart of our Lord. He notices the smallest of our sins. Often times we fail to see even our most grievous sins, but our Lord sees all things. If we wish to enter into His Heart of Divine Mercy, we must allow the rays of His Mercy to shine on the smallest speck of sin in our souls. He will do so gently and lovingly, but He will help us to see and experience the effects of our sin, even the smallest ones, if we let His Mercy in (See Diary #71). Look into your soul today and ask yourself how aware you are of the smallest sin. Do you let His Mercy shine within, illuminating all that is there? It will be a joyful discovery when You let Jesus reveal to you what He sees so clearly. Lord, I pray that Your Divine Mercy so fills my soul that I see all that is within me as You see it. Thank You for Your gentle and compassionate Heart and for being attentive to the smallest detail of my life. Thank You for being attentive to even the smallest of sins that I need to overcome. Jesus, I trust in You. At times, the truth can seem to be of little consolation to us. That may seem strange to say. But if we are honest, there are times when we suffer interiorly despite the fact that we know what we are feeling is not true. For example, we may KNOW that God is with us and loves us, but we may not feel that or experience that at one time or another. We may KNOW that God is in control of our lives, but we may feel like in our life He is nowhere to be found. This apparent contradiction between what we know and what we feel or experience can be hard to reconcile interiorly. But it is a grace to experience this apparent contradiction. It’s a grace because when we do not feel the presence of God or, even worse, if we feel like we have been rejected by God, we are given, in that moment, an incredible opportunity for holiness. Why? Because faith is not about feeling, it’s about knowing. It’s about knowing the truth in all things, believing that truth and living in accord with that truth despite what we may feel or experience interiorly. Though this can be hard to understand, it’s a truth we must believe and embrace if we are to grow in perfection and holiness (See Diary #77). Reflect upon the truths of our faith that appear to be in contradiction to what you feel. Which will you rely upon? That which comes through faith? Or that which directs your feelings? The best way to transform your misleading feelings is to make a profound act of faith in all that God has spoken and revealed. Make that act of faith and let God, in His time, redirect all that you interiorly feel and experience. Trust Him! Lord, I offer You, this day, that which I feel and experience in my life. Specifically, I offer you (state an intention). Help me to rely upon You and all that You have spoken as my guide. Help me to allow Your truth to enter into my life and redeem me. Jesus, I trust in You. There are many times in life when we are treated unjustly. As a result, our first instinct is to fight back, defend ourselves and see to it that justice is done. But is that what Jesus did? No, He remained silent and accepted all injustice as a sacrifice for the atonement for our sins. He was the Just One who took upon Himself all injustice. In doing so, He did two things. First, He appeased the justice of the Father as He offered this injustice for the atonement of sin. This is the central and deepest mystery of our faith. Second, He invites us to follow His example. In doing so, we are invited to accept unjust treatment and meet it with Mercy and forgiveness. This requires great inner strength and love. But if we are able to unite our own unjust suffering to that of Christ’s, we will win more souls for God than if we fought back winning a temporary satisfaction of earthly justice (See Diary #81). How have you been treated with cruelty and injustice? Reflect upon that which has been most painful to you and know that this suffering is an opportunity for you to atone for the sins of the world. You are enabled, by uniting your hurt to the suffering of Christ, to win many souls for God. This is the mystery of our redemption. It’s a mystery we are invited to enter into, live and offer to God as a sacrifice of love. Take a step in this direction, today, and watch the hurt you have dissolve into Mercy. Lord, I offer You, this day, my hurt, pain and all suffering. I especially offer You the injustices I have faced in life. May You remove all bitterness from my heart and replace it with Your Divine Mercy. Jesus, I trust in You. What is of greater value to God? To be successful in all that you set out to do, or to endure every hardship of life in patience and peace? Many may struggle with this question and want to choose both. Certainly it is easy to see that if we set out to accomplish the Will of God and all that He wants of us, this will be of great value for the Kingdom of God. But what if that which God calls us to do is to embrace patience and peace in the midst of some apparent struggle of difficulty? Is this of great value? Yes, it is of the greatest value because in this process of growing in patient endurance we are made truly holy (See Diary #86). What is it that is most difficult for you each and every day? What tries your patience more than anything? Do you look at this trial as an “obstacle” to happiness and fulfillment in life? If so, try to look at it from a different perspective. Try to see any difficulty as an opportunity for virtue and, in particular, an opportunity for personal growth in patience. Growing in that virtue delights the Heart of Christ and is of the greatest value for His Kingdom. Lord, I surrender to You those things that are most difficult for me. I thank You for them and believe that they are what will help me grow in holiness more than anything. I especially offer to You (mention any personal difficulty). Receive it Lord as my offering to You and give me the grace to transform it into love and Mercy. Jesus, I trust in You. Do you know that our Lord gazes upon you, night and day, with perfect love and affection. Do you know that He knows every detail of your life and walks with you through everything? This may be hard to believe because we cannot hear Him audibly, see Him with our eyes, or touch Him with our hands. But His intimacy is much deeper than the physical world. His intimacy is one that looks into our soul and loves us. His gaze of love, if we let it, will cast out all fear in life (See Diary #90). What is it that you fear the most? What is it that causes you the greatest anxiety? Today, try to identify the cause of your fear. And when you do, know that our Merciful Lord has already seen it all. He is aware of your situation and looks at you with love. The key is to look back at Jesus, to seek His face within your own soul, and to gaze back at Him with love. There, by looking intently upon our Lord, you will find the courage you need to let go of all that weighs you down and you will allow His grace to lift you on high. Lord, help me to turn my eyes from all my fears. Help me, instead, to seek out Your loving gaze and to allow that gaze of love to cast out all that is not of You. Lord, if I could only see Your face, radiant and beautiful, living in my soul, I would be consoled and comforted in all things. Jesus, I trust in You. Sometimes we do not feel like going to Mass or may be deeply distracted as we approach the Blessed Sacrament. Perhaps one of the best things to do in this case is to live in holy obedience. Jesus wants you to receive Holy Communion every Sunday and every holy day because He knows you need it. He knows that this Food from Heaven is necessary for you to obtain happiness. It is the Gift of Himself given freely and completely to you. And He commands you to attend the Holy Mass for your own good (See Diary #105). Reflect, today, upon your attitude toward the Gift of the Holy Mass. Do you attend faithfully? That is, without fail? Are you perfectly obedient to our Lord’s command? And when there, how do you enter into the Mass? Do you pray and seek Him inviting Him into your soul? After you receive Holy Communion do you kneel and truly pray? We could never be grateful enough for this sacred Gift. Make your next Holy Communion one that sets you down a path of holiness. Lord, I thank You for this precious Gift of Holy Communion. I thank You for coming to me in such an intimate and perfect way. Help me to always be obedient to Your command to receive You faithfully. And each time I am privileged to receive You, help me to be fully attentive to Your divine presence. Jesus, I trust in You. It is true that our goal must be Heaven. We must constantly keep our eyes on this eternal reality. Why? Because in comparison to this passing world, Heaven is all that ultimately matters. So how do we keep our focus on Heaven without becoming complacent with our daily duties? Would it be proper to neglect our daily duties and responsibilities so as to spend all day at church? Certainly not. In fact, the way to Heaven centrally involves living our duties well. We must live them in fidelity, diligence and love. Living well while we are here on Earth is the best preparation for Heaven (See Diary #107). Reflect, today, upon Heaven. See this glorious reality for what it is. It is eternal happiness! It is unending joy! Look, also, at all that God calls you to do each and every day. Be it small menial tasks or great and visible works, do everything for the love of God, seeing each responsibility you have been given as a central way by which you obtain eternal joy. Lord, I invite You to enter into my life daily. I pray that everything I do may be done as an act of love for You and for others. May I fulfill all my responsibilities well and, through them, obtain the glorious life that awaits. Jesus, I trust in You. Often times we can be so preoccupied with ourselves and our own problems that we fail to see the struggles and needs of those around us, especially those of our own family. At times, because we are so self-consumed, we run the risk of adding unnecessary burdens to those we are called to love and care for. We need to foster within our hearts true Christ-like empathy and compassion for each person we encounter (See Diary #117). Do you see the needs of those in your life? Are you aware of their wounds and burdens. Do you sense when they are sad and overwhelmed? Do you add to their sorrow or do you seek to lift them up? Reflect, today, upon the great gift of an empathetic and compassionate heart. True Christian empathy is a human response of love for those all around us. It’s an act of Mercy we must foster so as to lighten the burden of those entrusted to our care. Lord, help me to have a heart full of true empathy. Help me to sense the struggles and needs of others around me and to turn my eyes from myself to the needs that they carry. Lord, You are full of compassion. Help me also to be filled with compassion for all. Jesus, I trust in You. Our tongue can build others up, or cut them down. Our tongue also has a direct effect upon our own soul. When the tongue speaks words inspired by God, we grow in holiness. When the tongue speaks words not from God, we do great damage to our souls and others. The goal is not so much exterior silence; rather, it’s interior silence. Interior silence means that we think and pray before we speak. It means we are interiorly recollected and in tune with the voice of God speaking silently and gently within our conscience. This interior recollection of God is necessary if we are to dispose ourselves to speak the words of Mercy to others at the right time and in the right way (See Diary #118). Seek, today, to become a person who is continually in tune with the voice of God within your own conscience. God’s language is real and transforming. His language is one of silent but clear communication with us. God is always speaking, are you hearing? Try to silence your own thoughts and ideas today so that you can hear only what He has to say to you. Lord, I offer You my words this day. May I speak only what You inspire me to speak. May I hear only what You wish for me to hear. Help me, Lord, to enter into a deep and continual recollection of You, and in the silence of my heart may I meet Your divine presence so that I may share You and Your Mercy with others. Jesus, I trust in You. We are called to be saints. And if we walk down that road, we will be called to live heroic virtue. Heroic virtue will not always be understood by others. In fact, in the opinion of worldly wisdom, heroic and holy virtue is foolishness. But we must not allow the opinions of worldly “wisdom” to confuse us, tempt us or distract us from the road of true virtue (See Diary #126). Are you misunderstood, at times, because you are striving to live a holy life? Do others give you this or that bit of advice which seems to be in contradiction to the voice of God in your own conscience? Reflect upon the road of virtue God is calling you down. The world does not understand the road of virtue, Mercy and forgiveness that we are called to embrace. The world does not understand that we must accept injustice at times in silence and trust. The world does not understand the joy we have when we suffer for the sake of Christ. Keep your eyes on the voice of God as He speaks to you in your conscience and do not let the opinions of others or the world lead you astray. Lord, help me to walk the road of heroic virtue. At times, this road will leave me misunderstood. And, at times, others will tempt me to turn away from Your divine voice. Help me, at all times, dear Lord, to hear only You and to be obedient only to Your most holy Will. Give me wisdom, strength and courage to always follow Your divine ways of Mercy. Jesus, I trust in You. It’s true that, throughout your day, God is speaking to you. He is constantly communicating His truth and His direction for your life, and He is constantly bestowing His Mercy. The problem is that His voice is ever so gentle and silent. Why? Because He wants all of your attention. He will not attempt to compete with the many distractions of your day. He will not impose Himself upon you. Rather, He waits for you to turn to Him, to set aside all distractions, and to be attentive to His quiet but clear voice (See Diary #130). Do you hear God speak? Are you attentive to His gentle interior promptings? Do you let the many distractions of your day drown out God’s voice or do you habitually set those aside, diligently seeking Him all the more? Seek His interior promptings this day. Know that these promptings are signs of His unfathomable love for you. And know, that through them, God is seeking your full attention. Lord, I love You and desire to seek You in all things. Help me to be aware of the ways in which You speak to me day and night. Help me to be attentive to Your voice and to be led by Your gentle hand. I give myself to You completely my Lord. I love You and wish to know You more fully. Jesus, I trust in You. Do you love with a pure love? What does this form of love look like? Pure love is one that flows directly from the Heart of Christ to and through your life. This holy love has beautiful characteristics. First, it is plentiful. When we love with the Heart of Christ we love in abundance. There is no limit to how much love we can share. It’s like the brightness of the sun at noon casting rays on all below. Second, it’s ingenious, doing what is pleasing to God. It is not cautious or calculated. It does not hesitate or evaluate. Rather, the wisdom of love is immediate and knows in each moment how to radiate God’s love. And third, it is happy. Even when love calls one to heroic sacrifice there is great delight in this total self-giving (See Diary #140). Reflect, today, upon how fully you love with a pure and generous heart. Do you give of yourself in abundance? Is it a delight to serve without counting the cost? Do you easily find ways to show Mercy to others and delight in doing so? Ponder these questions today and pray that the Lord shines through all you do. Lord, please purify my heart and make it holy. Let my heart be joined to Yours so that I may radiate all that You are. Shine through me in abundance and guide me in a pure love. Jesus, I trust in You. What is it that makes your soul beautiful? Prayer. What is it that keeps you from sin? Prayer. What is it that fills you with hope? Prayer. What is it that leads you on the road to holiness? Prayer. Prayer is the key to all things. Without prayer, each and every day, you are directionless in life and are left to your own wisdom and ability, which is a frightening state to find yourself in (See Diary #146). Do you pray? Not just every so often, at Sunday Mass or before meals. But do you truly pray every day? Do you spend moments alone speaking to God from the depths of your heart and let Him speak back to you? Do you allow Him to initiate a conversation of love with you every day and throughout the day? Reflect, today, upon your habit of prayer. Reflect upon whether you can honestly say that your daily conversation with God is the most important conversation you have each day. Make this a priority, the number one priority, and all else will fall into place. Lord, I know my prayer life is weak. I know I need to give more attention to my daily conversation with You. Help me to form a strong habit of prayer, each and every day, so that this life of prayer will become the guiding light of my life. Jesus, I trust in You. There are both interior and exterior difficulties we encounter as we attempt to form a daily habit of prayer. Interior difficulties: discouragement, dryness, heaviness of spirit and temptations. These difficulties are overcome through patience and perseverance. Exterior difficulties: fear of what others may think or say, and setting time aside. These difficulties are overcome through humility and diligence (See Diary #147). Try to set a daily time for prayer and do not be afraid if others become aware of this commitment. Make it a time where you set aside every distraction and diligently focus in on the voice of God. Try kneeling or, even better, try laying prostrate before our Lord. Kneel or lay prostrate before the crucifix in your room or before the Blessed Sacrament at church. If you do, you will most likely encounter immediate temptations and difficulties. Do not be surprised by this. You will find yourself thinking about other things that you should do and you may even worry that others will discover you are praying. Persevere, stay focused and pray. Pray deep and pray hard and you will see the good fruits of this commitment in your life. Lord, give me the strength I need to persevere through any and every difficulty that tries to keep me from my prayer with You. Make me strong so that I can set aside any struggle or temptation that comes my way. And as I press on in this new life of prayer, please take my life and form me into a new creation in Your love and Mercy. Jesus, I trust in You. It’s easy to presume that everyone we know will go to Heaven. This, of course, should be our hope. But if one is to attain Heaven, there must be a true interior conversion. Each person who enters Heaven is there because of a personal decision to give one’s life to Christ and to turn from sin. How do we assist those around us on this journey? The most important thing we can do is pray for them. At times, praying for another can seem futile and unproductive. We may not see any immediate results and conclude that praying for them is a waste of time. But do not let yourself fall into that trap. Praying for those whom God has put into your life is the greatest act of Mercy you can show them. And your prayer may actually be the key to their eternal salvation (See Diary #150). Think about those whom God has placed in your life. Be it family, friends, co-workers or simple acquaintances, you have a duty to pray for them. Your daily prayer for those around you is an act of Mercy that can easily be exercised. Call to mind those in your life who may be in most need of prayer today and pause to offer them to God. As you do, God will pour grace upon them and He will also reward your own soul for this act of generosity. Lord, in this moment I offer to You all those who are in most need of Your Divine Mercy. I pray for my family, friends and for all those whom You have put in my life. I pray for those who have hurt me and for those who have no one to pray for them. Lord, I especially pray for (mention one or more people who come to mind). Fill this child of Yours with an abundance of Mercy and help him/her on the way to holiness. Jesus, I trust in You. Think of the most beautiful sunset possible, gleaming over the wide ocean in the evening with the sky radiant in color. Or think of the majestic mountain peaks piercing through a bright blue sky, or a mighty waterfall, pouring forth from the heights. All of these gifts of creation are glorious, beautiful and breath-taking. But none of them compares to the glory and majestic splendor of God’s Mercy (See Diary #158). God’s Mercy, when properly perceived, will take our breath away and more. We will be left in awe of His perfect unfailing love for us. But sometimes we cannot see His Mercy for what it is. Reflect, today, upon your own experience of God’s Mercy. Do you perceive all that He is? Have you had moments when you have encountered His Mercy in an overwhelming way within your own soul? If not, spend time seeking to comprehend Him. Humble yourself before Him and ask Him to peel back the veil of His infinite love for you. Lord, I know You are merciful beyond what I could ever imagine. But there are many times when I do not understand You and Your ways. I feel distant and lost. Help me to know Your love. Help me to see the splendor and beauty of who You are. And help me, as I come to discover You, to be drawn into a burning love for You. Jesus, I trust in You. Reflect upon that which you are most eager to share with others each and every day. Think about the joy you receive when you speak of the goodness and Mercy of God. Look for opportunities, this day, to share some joy about how great God is. Look for ways that God’s beauty and goodness have been evident this week and speak of His workings to those God puts in your path. Lord, help me to turn from the sensationalism and negativity of the secular world. Help me, instead, to turn my eyes to You and Your glory. Give me courage, wisdom and love so that I may speak of You freely and joyfully. Lord, You are the Good News that must be shared everywhere. Help me to be a willing instrument. Jesus, I trust in You. Is it possible to know that someone has a deep interior life of prayer? Even though this is “interior” and is a spiritual reality, is it possible to sense this externally? Most certainly it is. In fact, the deeper one’s life of prayer the more that this interior life will shine forth for others to see (See Diary #172). How about you? What does your soul radiate? When people see you, what do they sense? Certainly our perceptions of people can be wrong at times, but when God is alive in an abundant way, those who have eyes to see will see. Those who are hungry for God will perceive His presence in your life and be fed by Him through you. Reflect upon how radiant your interior life is. And reflect upon whether or not that burning flame within is shining forth for others to see. And if it is not burning brightly and intensely, today is a good day to kindle that fire within. Lord, I invite You to come live in my soul. I invite You to fan into flame the spark of faith that I have. May Your love and Mercy become a blazing fire in me so that I may be consumed by You and so that others may sense Your love through me. Jesus, I trust in You. Sin is a topic that many avoid. We don’t like to think about our sins. We don’t like to admit to them, and we often rationalize them as if we do not have any. We can easily come up with excuses for this “sin” or that. But here is another perspective on sin. We should see our sin, no matter how grave or how small, as a little twig. And then we should see a huge and blazing fire. If you were to throw that twig into the fire it would immediately be consumed. The twig is our sin and God’s Mercy is so powerful that it can easily and quickly consume it. We only need to be willing to admit our sins and throw them into that burning fire of Divine Mercy (See Diary #178). Can you admit your sin? Do you see your sin? No excuses, just honesty. And are you willing to confess your sins, all of them, in the sacramental fire of Reconciliation? If you are aware of the power of God’s Divine Mercy and His willingness to eliminate your sin, you will have no fear in honestly admitting it and letting Him consume it. Try to examine your conscience today and face that which you need to let God burn away. Lord, Your Divine Mercy is infinite and most powerful. It is a flame of burning love. Help me to trust in You enough to face my sin honestly and to throw it into the fire of the Sacrament of Reconciliation. May I trust in this glorious Sacrament and, in so doing, may I trust in You. Jesus, I do trust in You. After Jesus’ death, one of the soldiers came to Him and was ordered to make certain He was dead. So that soldier pierced His precious body with a lance and immediately blood and water gushed forth from His wounded Heart. This has been prayerfully reflected upon throughout the ages and has been seen as a sign of the Sacraments of Baptism and Holy Communion and the fact that the Blood of the Holy Eucharist and the Water of Baptism spring forth directly from the ultimate sacrificial gift of Jesus’ perfect sacrifice of the Cross (See Diary #187). Renew, today, your gratitude for these Sacraments of God’s abundant Mercy. Ponder the fact that they were made possible only because Jesus was willing to sacrifice His life out of love for us. Let His sacrifice, this day, fill your own heart with gratitude and awe as you think about the price He willingly and freely paid so as to redeem us. Lord, Your love is seen clearly in the Sacrifice of Your Cross. You held nothing back from us as You poured out Your Mercy to the last drop on the Cross. Help me to see and understand this great mystery of sacrificial love. Fill me with gratitude for all that You have done and help me to imitate this total self-giving toward others. Oh blood and water, which gushed forth from the Heart of Jesus, as a font of Mercy for us, I trust in You. Does your soul feel like it is in a spiritual drought at times? Do you wish you could have greater spiritual consolation in your daily life. This is a common struggle and one that we should not worry about. The primary goal of our spiritual life is to do the Will of God. Often times, a certain spiritual dryness actually helps us live the Will of God more than powerful and emotional spiritual consolations. God knows what we need and will give it to us when we need it (See Diary #195). Consider, today, how you feel inside. What does your spiritual life feel like today? Now set that thought aside and realize that there is only one thing that ultimately matters: doing the Will of God, not feeling the Will of God. “Doing” must be our food and our strength. Contrast your feelings with your doing today and ask our Lord for grace to live out His Will. Lord, I recommit myself to Your most holy Will this day. I commit myself to doing that which You command. May I see all Your commands as commands of love. May my embrace of these commands bring strength and peace to my soul, especially during times of spiritual dryness. Jesus, I trust in You. Could you be happy if you were in prison? Or what if you were called at a young age to enter a cloistered monastery and live in seclusion throughout your life? Could you find happiness if you were living in the utmost poverty having barely enough to feed your family each and every day? The answer is “Yes.” You most certainly can find happiness within any situation of life. How? Happiness is not dependent upon the external circumstances of life that are out of our control. It is not dependent upon wealth, physical freedom, or even vocational callings. Happiness is found exclusively in the fact that we are intimately united with our Divine Lord, no matter what our vocation or life circumstances. The question is whether or not you are in love with God (See Diary #201). Reflect upon your interior relationship with our Divine Lord. Do you know and love Him in a real and personal way? Do you daily communicate with Him and spend your day in His presence? Is your life of prayer alive and flourishing? Does your heart burst forth with a burning love? God loves you perfectly. Love Him back and you will find your source of your joy in life. My dear Lord, help me to love you with a burning love. Help me to know You in the most intimate and personal of ways. I know that my happiness depends solely upon my love for You. May that love in my heart increase daily so that I may be one with You in all things. Jesus, I trust in You. Do small sacrifices matter? Sometimes we can think that we should try to do great things. Some may have ideas of grandeur and dream of accomplishing some great feats. But what about the small, monotonous, daily sacrifices we make? Sacrifices such as cleaning, working, helping another, forgiving, etc.? Do the small things matter? Most certainly. They are a treasure we give to God like none other. Small daily sacrifices are like a field in the open valley, filled as far as the eye can see with beautiful wild flowers. One flower is lovely, but when we commit ourselves to these small acts of love all day, every day, we present to God a flowing field of endless beauty and magnificence (See Diary #208). Reflect upon the small things today. What is it that you do each day that tires you and seems boring or unimportant. Know that these acts, perhaps more than any other, present you with a glorious opportunity to honor and glorify God in a magnificent way. Lord, I offer You my day. I offer You all that I do and all that I am. I especially offer You the small things I do every day. May each action become a gift to You, offering You honor and glory throughout my day. Jesus, I trust in You. When speaking to others, the love and Mercy of God must flow from our lips. But how? What should our speech look like? One way to examine our speech to others is to look at it in the light of how we should speak to God. When speaking to God we should speak with honesty, simplicity, humility and confidence. Think of a sincere child praying to God. This pure soul exudes these qualities well. So should we. And if we speak to God with these qualities, they will also be a good guide in our speech to others (See Diary #215). Reflect upon the people and conversations that you have. Do you speak from pride or sarcasm? Do you struggle with gossip or carelessness? Think about what your speech would look like if it were honest, simple, humble and confident in God’s grace. Joy will be present in each conversation guided by these virtues. Lord, help me to speak with a merciful and kind heart. Help me to guard my tongue against malice and harshness. Forgive me for my past indiscretions and help me to be a mouthpiece of Your generous and merciful Heart to others. Jesus, I trust in You. When you are at church, do you listen? Specifically, do you listen to the voice of God? Often times we sit and listen to the homily and our mind wanders and we miss all or most of what was said. Where does your mind wander? The truth is that sometimes a wandering mind is from the Lord. Sometimes there may be one thing said at Mass that our Lord then places on your heart to ponder. Do not be afraid to let Jesus take you on a spiritual journey while at Mass or while alone in prayer. He may often wish to speak a homily directly to your soul (See Diary #221). Reflect, today, upon how well you reflect. True prayerful reflection is not simply daydreaming. It’s not distraction that leads us to obsess or worry about this thing or that. Prayerful reflection is a way of letting God take hold of our imagination so as to lead us into His Truth. He often desires to lead us into a particular word of Truth that we need to know at that time. How well do you do this? Ponder your prayerful pondering and next time you pray do not be afraid to let God take control. Lord, I know You speak to me day and night. Help me to hear Your sweet voice and to listen. Help me to allow You to take control of my prayer and to direct me into all You have to say. Jesus, I trust in You. Are you comfortable calling Jesus your Master? Some may prefer to call Him “friend” or “shepherd.” And these titles are true. But what about Master? Ideally, we will all come to give ourselves to our Lord as the Master of our lives. We must not only become servants, we must become slaves. Slaves of Christ. If that doesn’t sit well then ponder simply what sort of Master our Lord would be. He would be a Master who directs us with perfect commands of love. Since He is a God of perfect love, we should have no fear abandoning ourselves into His hands in this holy and submissive way (See Diary #228). Reflect, today, upon the joy of being totally given over to Christ and being completely under His direction. Ponder every word you say and every action you do being lived in obedience to His perfect plan. We should not only be completely free from any fear of such a Master, we should run to Him and seek to live in perfect obedience. Lord, You are the Master of my life. I submit my life to You in a holy slavery of love. In this holy slavery, I thank You for setting me free to live and love as You desire. I thank You for commanding me in accord with Your most perfect Will. Jesus, I trust in You. Some people, day in and day out, experience the harshness and cruelty of another. This is quite painful. As a result, there can be a strong desire for justice so that the person causing pain be held accountable. But the real question is this: What is the Lord calling me to do? How shall I react? Shall I be an instrument of God’s wrath and justice? Or shall I be an instrument of Mercy? The answer is both. The key is understanding that God’s justice, in this life, is implemented through His Mercy and through the Mercy we show to those who offend us. For now, accepting the darts of another in virtue is the way to God’s justice. We grow in patience and strength of character as we live in this virtuous way. In the end, at the end of time, God will right every wrong and all will come to light. But, for now, our mission is to bring the justice of God by offering His unlimited and continual Mercy (See Diary #236). Reflect upon any hurt you may have received from another. Reflect upon any words or actions that have stung you to the heart. Try to accept them in silence and surrender. Try to unite them to the sufferings of Christ and know that this act of humility and patience on your part will bring forth God’s justice in His time and in His way. Lord, help me to forgive. Help me to offer Mercy in the face of every wrong I encounter. May the Mercy You place in my heart be the source of Your own divine justice. I entrust to You all that I cannot comprehend in this life and know that, in the end, You will make all things new in Your light. Jesus, I trust in You. Some acts of love are meant to be shared only between lovers. Acts of the utmost intimacy and self-giving are precious gifts of love shared in the secrecy of a relationship of love. This is also the case with our love of God. We should regularly look for ways to express our most profound love of God in ways that are known only to Him. In return, God will lavish merciful graces upon us, interiorly, known to us alone. These mutual exchanges of love are powerfully transforming to a soul and the source of the greatest delight (See Diary #239). Reflect, today, upon the intimacy of your relationship with our merciful God. Do you take great delight in showering Him with Your love? Do you do so, regularly, in the secrecy of your heart. And do you open yourself to the countless ways that God bestows these graces of love upon you? Lord, may my interior acts of love for You be as a rose I place before Your Divine Heart. May I delight in offering You my love and may I rejoice, always, in the secret and profound ways that You lavish Your love upon me. Jesus, I trust in You. When others do well, how do you react? Most likely when a child does well it brings delight to your soul. But what about others? A sure sign of a merciful heart is the ability to sincerely find joy in the good that others do. Too often jealousy and envy get in the way of this form of Mercy. But when we delight in the goodness of another and rejoice when God is at work in someone’s life, this is a sign that we have a merciful heart (See Diary #241). Think about the person that you may find it difficult to offer praise and honor. Who is it that is difficult to compliment and encourage? Why is it this way? We often point out their sin as the reason but the true reason is our own sin. It may be anger, envy, jealousy or pride. But the bottom line is that we must foster a spirit of joy in the good works of others. Reflect upon at least one person you find it difficult to love in this way and pray for that person today. Ask our Lord to give you a merciful heart so that you can rejoice as He works through others. Lord, help me to see Your presence in others. Help me to let go of all pride, jealousy and envy and to love with Your merciful Heart. I thank You for working in many ways through the lives of others. Help me to see You at work even in the greatest of sinners. And as I discover Your presence, please fill me with a joy that expresses itself with authentic gratitude. Jesus, I trust in You. We all encounter struggles in life. The question is: “What do you do with them?” Too often, when struggles come our way we are tempted to doubt the presence of God and to doubt His merciful help. In fact, the opposite is true. God is the answer to every struggle. He alone is the source of all we need in life. He is the One who can bring peace and serenity to our soul in the midst of any and every challenge or crisis we may face (See Diary #247). How do you deal with struggles, especially ones that turn into crises? How do you deal with daily stress and anxiety, problems and challenges, worries and failings? How do you deal with your own sins and even the sins of others? These, and many other aspects of our lives, can tempt us to turn from total trust in God and lead us to fall into doubt. Reflect upon how well you handle daily struggles and adversity. Do you remain confident each and every day that our Merciful Lord is there for you as the source of peace and serenity in the midst of a turbulent ocean? Make an act of trust in Him this day and watch as He brings calm to any storm. Lord, You and You alone can bring peace to my soul. When I am tempted by the difficulties of this day, help me to turn to You in perfect trust placing all my cares on You. Help me to never turn from you in my despair but to know with certainty that You are always there and are the One to whom I must turn. I trust You, my Lord, I trust You. Jesus, I do trust in You. Which image of Christ are you more comfortable with? Which image do you more easily identify with? The image of Christ glorified as King of all? Or the image of the beaten and suffering Christ? In the end, we will fix our eyes on the Lord in glory and majesty and this will be our delight for eternity. However, while we are pilgrims in this earthly life, the suffering Christ should dominate our mind and our affection. Why? Because it reveals the closeness of Jesus to us in our own weakness and pain. Seeing His wounds disposes us to reveal our own wounds with confidence. And seeing our own brokenness in truth and clarity helps us love our Lord more deeply. He entered into suffering through His Cross. He wants to personally enter your suffering as you gaze upon His wounds (See Diary #252). Look at the wounds of Jesus this day. Try to call His suffering to mind throughout the day. His suffering becomes a bridge to us. A bridge that allows us to enter His divine Heart which loved to the last drop of blood. Lord, I gaze upon You this day. I gaze upon every wound and ever scourge that You bore. Help me to draw close to You in Your pain and help me to allow You to transform my own sufferings into an instrument of divine union. Jesus, I trust in You. It is a grace from God to see ourselves as we are. And what will we see if we see ourselves this way? We will see our misery and nothingness. At first, this may not be all that desirable. It may even seem contrary to the dignity we have in Christ. But that’s the key. Our dignity is “in Christ.” Without Him, we are nothing. We are misery and nothingness by ourselves (See Diary #256). Today, do not be offended or afraid to acknowledge your “nothingness.” If it does not sit well with you at first, beg God for grace to see yourself as you are without Him. You will quickly see that without our divine Savior, you are truly miserable in every way. This is the starting point to a deep gratitude in that it allows you to more fully realize all that God has done for you. And when you see this, you will rejoice in the fact that He has come to meet you in this nothingness and has lifted you high to the dignity of His precious child. Lord, may I see my misery and wretchedness this day. May I come to understand that without You I am nothing. And in that realization, help me to become eternally grateful for the precious gift of becoming Your dear child in grace. Jesus, I trust in You. When God enters your soul, He acts in such a way that you will never fully comprehend His workings. His grace and Mercy are such that they remain a mystery deeper than the oceans and more vast than the upper limits of the Universe. Understanding the incomprehensible nature of God’s grace is, in fact, the first step to wisdom. It’s the first step to realizing the omnipotence of God and His infinite Mercy (See Diary #266). Will you ever comprehend the grace of God? Will you ever fully grasp all that He has done for you? Certainly not. But if you can become all the more aware of the fact that you cannot comprehend God and His love, then you are on the road to wisdom. Reflect upon the incomprehensible workings of grace today. Face the great mystery of God’s infinite Mercy. Let yourself become aware of this mystery so that you will begin to know that you do not know. And in that realization, you will be one step closer to understanding the Mercy of God. Lord, Your ways are so far above my ways and Your wisdom is so far above what my mind can ever fathom. Help me, this day, to see the mystery of Your incomprehensible nature. And in seeing this mystery, help me to begin to understand Your Mercy all the more. Jesus, I trust in You. The more we come to know Jesus, the more we desire Him. And the more we desire Him, the more we come to know Him. This is a beautiful cyclical experience of knowing and desiring, desiring and knowing (See Diary #273). Do you desire to know your precious Lord? Do you long for Him in a burning way? Reflect upon this desire in your soul and if it is lacking, know that it’s because you need to come to know Him more. Reflect, also, upon the ways in which you do sense a real knowledge of Jesus. What does that knowledge of Him do to you? Allow it to move from your head to your heart, and from your heart to all your affections. Allow Him to work on you, to draw you and to envelop you in His Mercy. Lord, help me to come to know You. Help me to comprehend You in Your perfection and Mercy. And as I do come to know You, flood my soul with a longing and desire for more of You. May this desire increase my love of You and help me to know You all the more. Jesus, I trust in You. Is there a difference between “sympathy” and “compassion?” If so, what is the difference? And which is more desirable? Sympathy simply means that we feel bad for another. It means, in a sense, that we pity them. But compassion goes much further. It means that we enter into their sufferings and carry their burden with them. It means we suffer with them just as our Lord suffered with and for us. We must only seek to offer true compassion for others and to invite them to offer compassion to us (See Diary #279). How well do you do this? How well do you offer true compassion? Do you see the hurt of others and seek to be there for them, encouraging them in Christ? And when you suffer, do you allow the compassion of others to flood your soul? Do you allow the Mercy of God to reach out to you through them? Or do you seek only pity from others allowing yourself to fall into the trap of self-pity? Reflect upon the difference in these two qualities and ask our Lord to make your heart one of authentic compassion for all. Lord, please do give me a heart full of Mercy and compassion. Help me to be attentive to the needs of others and to reach out to them with Your own Divine Heart. May I long to bring Your healing grace to all those in need. And may I never soak in my own self-pity or seek that pity from others. But may I be open to the compassion Your Heart desires to offer me through the love of others. Jesus, I trust in You. The Blessed Sacrament is truly sacred. It is revered and treated with the greatest respect. We would never throw our Lord away or discard Him on the floor or in some irreverent place. And yet we often fail to treat others with the same respect we show Jesus present in the Sacred Host (See Diary #285). Do you realize that each person is a tabernacle? Each person is an image of God and is precious and sacred beyond imagination. We must see all people this way and we must seek to treat them with the greatest reverence and respect. In doing so, we honor our Divine Lord more than we could ever know. Reflect upon how you treat others this day. Reflect upon whether or not you treat them with the same love and respect you would show our Lord in the Sacred Host. Ask Jesus to help you to see His divine presence in everyone you meet. Lord, may I love You always in all people. May I see You in every soul and honor Your divine presence within them. You, oh Lord, are alive in the heart of every creature. I love You and desire to love You more as I encounter Your divine presence in everyone I meet. Jesus, I trust in You. Perhaps everyone has experienced an unjust accusation by another. It may be because another is honestly mistaken about the facts or about our motivation for what we do. Or, it may be more malicious and cruel. Being falsely accused can be quite painful and will most likely tempt us to react in anger and defensiveness. But what is the proper response to such nonsense? Should we weary ourselves with silly words that mean nothing in the Mind of God? Our response should be one of Mercy. Mercy in the midst of persecution (See Diary #289). Have you experienced such an injustice in your life? Have others spoken ill of you and twisted the truth? Reflect upon how you react when this may happen. Are you able to receive these accusations as our Lord did? Can you pray for those who persecute you? Can you forgive even if no forgiveness is asked for? Commit yourself to this path, for you will never regret taking the path of Divine Mercy. “Father, forgive them for they know not what they do.” These were Your perfect words of Mercy spoken from the Cross. You forgave in the midst of Your brutal persecution. Help me, dear Jesus, to imitate Your example and to never allow the accusations, malice or persecution of another to distract me from You. Make me an instrument of Your Divine Mercy at all times. Jesus, I trust in You. It is most certain that our Divine Lord knows all things. He is aware of every thought we have and every need we carry far more than we will ever realize. At times, as we come to realize His perfect knowledge, we may expect Him to answer all our needs even if we do not acknowledge them. But our Lord often wants us to ask. He sees great value in us discerning our needs and offering them to Him in confidence and prayer. Even if we do not know what is best, we must still bring our questions and concerns to Him. This is an act of trust in His perfect Mercy (See Diary #295). Are you aware of your own needs? Can you articulate the challenges you face in life? Do you know what you should pray for and what to offer our Lord as your daily sacrifice? Reflect upon that which Jesus wants you to entrust to Him this day. What is it that He wants you to be aware of and present to Him for His Mercy. Let Him show you your need so that you may present that need to Him. Lord, I know that You know all things. I know that You are perfect wisdom and love. You see every detail of my life and love me despite my weakness and sin. Help me to see my life as You see it and, in seeing my needs, help me to make a continual act of trust in Your Divine Mercy. Jesus, I trust in You. The most basic desire we have is for happiness. Everything we do, in some way, is done so as to help us achieve this goal. Even sin is committed with an erroneous sense that it will lead us to happiness. But there is one source of human fulfillment and one source of authentic happiness. That one source is God. Seek our Divine Lord as the fulfillment of every human longing that you have (See Diary #305). What is it that you seek in life? What is it that you long for? Is God the end of all your longings? Do you believe that God and God alone suffices and fulfills all you desire? Look at your goals, this day, and reflect upon whether or not God is the ultimate end of those goals. If He is not, then the goals you seek will leave you dry and empty. If He is, you are on the road to more than you could ever hope for. Mother Mary endured so much in life. She endured suspicion and ridicule at the miraculous conception of her Savior. She watched with a perfect motherly love as her Divine Son was rejected and misunderstood. And she stood by Him in His agony and death. And through it all, her motherly love was perfect and powerful. She stands by us, also, in all that we endure in life. And she gives us a perfect witness of love and compassion through her tender heart (See Diary #315). Ponder the heart of the Mother of God this day. Ponder your Blessed Mother, the true mother of Jesus, as she loved her Son throughout His life. Imagine the sword of sorrow that pierced her heart countless times. And strive to understand the perfect and tender love with which she loved both her Son and those who treated Him so cruelly. Seek her prayers, this day, to imitate her love and ask her to shower that love upon you. She will not let you down. Dearest Mother, my Queen, please pray for me and help me to know your motherly care. Help me to turn to you in all things so that I may receive the abundance of Mercy flowing from your pure heart. Give me the grace to imitate your kindness and tenderness and to stand by all those who are in need. Mother Mary, pray for us. Jesus, I trust in You. If you have prayed the “Hail Mary” prayer, then you have prayed for your last hour in this world: “Pray for us now and at the hour of our death.” Death is frightening to many people, and the hour of our death is not usually something we want to think about. But the “hour of our death” is a moment we should all look forward to with the utmost joy and anticipation. And we will look forward to it only if we are at peace with God, within our soul. If we have regularly confessed our sins and sought the presence of God throughout life, then our last hour will be one of great comfort and joy, even if it is mixed with suffering and pain (See Diary #321). Think about that hour. If God were to give you the grace to prepare for that hour many months in advance, how would you prepare? What would you do differently so as to be ready for your final passing? Whatever comes to mind is most likely that which you should do today. Do not wait until the time is near to prepare your heart for your passing from death to new life. See that “hour” as an hour of the greatest grace. Pray for it, anticipate it and be watchful for the abundance of Mercy God wishes to bestow upon you, one day, at the glorious conclusion of your earthly life. Lord, help me to be rid of all fear of death. Help me to continually remember that this world is but a preparation for the next. Help me to keep my eyes on that moment and to always anticipate the abundance of Mercy You will bestow. Mother Mary, pray for me. Jesus, I trust in You. Imagine a dictator of a country who has absolute power and is also a very angry, malicious and vengeful man. This is not someone you would want to upset. Now imagine the opposite. Imagine one who has absolute power and is also blessed with a heart of pure Mercy. This is our God. And in addition to our God having these qualities, He passes them on to His Mother. She is Queen and exercises her queenship with great authority. But it’s an authority that is expressed in perfect Mercy. We should always trust in the power of God as it is made manifest through the mediation of our Mother of Mercy (See Diary #330). Reflect upon that for which you are in need of Mercy. It could be sin, or it could be a heavy cross that seems too much to carry. It could be the need to forgive and to exercise charity toward a person who has wounded you. Whatever it is, turn to our Blessed Mother, the Mother of Mercy, and entrust your need to her glorious heart. With the authority entrusted to her by God, an abundance of grace will be given to you in your need. Dearest Mother, Mother Most-Powerful, you have been entrusted with the grace of Heaven. As Queen, your Divine Son has given to you the glorious privilege of dispensing His Mercy. I beg of you, dear Mother, to bestow that grace in abundance so that we, your children, may know the Mercy and goodness of God. Mother Mary, pray for us. Jesus, I trust in You. There are many things in life we can become attached to. Sometimes we can even become attached to things that are good. Most often, what we become attached to is our own stubborn will. We want what we want when we want it. One key to authentic holiness is to strive to be detached from everything but God and His holy Will. This requires much “letting go” in our lives and much surrender (See Diary #338). What is it that you are attached to? What comes to mind first? What is it that you would not want to let go of? Even attachment to good things in life is a way of trusting more in creatures than in God. And, in fact, the only way to authentically love another, be it God, family, friends, or anyone else, is to detach from your selfish attachments so that the love of God can flood you and love others through you with His pure and perfect love. Lord, help me to let go of all that is not of You. Help me, especially, to see my sin and to surrender it over to You. Help me to detach even from family in a holy way so that I am free to love them with Your Heart. May You, my Lord, be my one goal and love, and in this love may I discover how to love everyone with Your Heart. Jesus, I trust in You. Praying “always” may seem like an impossible task. Is it really possible to do so? Does God even expect this of us? It most certainly is and He most certainly does. No, we will not be called to spend all day, every day, at church in prayer. Not even those called to the cloistered monastic life do as such. But praying always is a must. It simply means that we have developed such a habit of closeness to God that our hearts are always with Him. We are always attentive to His presence and are always in communion with His grace. If we form this interior love for God, we will be praying always (See Diary #346). Think about your day. What occupies your mind and heart most of the time? Do you spend excessive time daydreaming about things that have nothing to do with our Lord and the plan He has for you? Work at establishing a habit of prayer. Pray deeply and wholeheartedly at various moments of the day giving prayer your full attention. And then, throughout the day, try to let those moments of prayer sustain you and remain with you, carrying you on throughout all that you do. Lord, help me to know how to pray. Instill within me a deep habit of prayer. Help me to regularly take moments, each day, when all I do is focus on You, seeking You out. And help me to bring those moments into everything I do so that my mind and heart may always be in communion with You. My Lord, I love You, help me to love You more. Jesus, I trust in You. It is impossible for us to love and adore Christ deeply enough as He is present in the Most Holy Eucharist. When we are before Him, present in the Most Holy Eucharist, we should see the Almighty God present in veiled form. He is: Mercy, Eternal Life, The Eternal God, The Savior of Sinners, The Living Water, The Fire of Pure Love, The Medicine for All Our Ills, All Sentiments of Love, The Hope of All, The Lifter of Burdens…and He is worthy of all our trust (See Diary #356). What do you see when you gaze upon the Sacred Host? With your eyes you see bread, but with your soul you should see God. You should see God in all His glory and power and you should adore Him with all your might. Think about how you relate to our Lord as He is present in the Holy Eucharist. Pray that God will flood your mind with a true knowledge of Him and inspire your heart with a burning love. Lord, help me to know and love You as You are present in the Most Holy Eucharist. Help me to understand the gift of Your Mercy made present through this Holy Gift. May I learn to adore You every time I am before Your presence in this Sacred Host. Jesus, I trust in You. One of the greatest gifts we can give to our Divine Lord is our willfulness. We often want what we want, when we want it. Our will can become stubborn and obstinate and this can easily dominate our whole being. As a result of this sinful tendency toward willfulness, one thing that delights our Lord greatly, and produces an abundance of grace in our lives, is an interior obedience to that which we do not want to do. This interior obedience, even to the smallest of things, mortifies our will so that we are made free to more completely obey the glorious Will of God (See Diary #365). What do you want with a passion? More specifically, what do you cling to in an obstinate way with your own will? There are many things we want that could easily be given up as a sacrifice for God. It may not be that the thing we desire is evil; rather, it’s that letting go of our interior desires and preferences change us and dispose us to be more receptive to all that God wishes to bestow upon us. Lord, help me to make my one desire that of perfect obedience to You in all things. May I cling to Your Will for my life in both great and small things. May I find in this submission of my will the great joy that comes from a heart fully submissive and obedient to You. Jesus, I trust in You. Wouldn’t it be nice if you could do the Will of God always? If you could simply make the choice to perfectly say “Yes” to God in all things and in every situation? The truth is that you can. The only thing hindering you from this absolute choice is your own stubborn will (See Diary #374). It’s hard to admit that we are stubborn and full of self-will. It’s hard to let go of our own will and to choose, instead, the Will of God in all things. Hard though it may be, we must make this our firm resolve. And when we fail, we must resolve again. Never tire of trying again and again. Your unfailing effort brings joy to the Heart of our Lord. Lord, I do desire to embrace Your Divine Will in all things. Help me to be free of my own selfish will and to choose only You in all things. I abandon myself into Your hands. When I fall, help me to get back up rather than to give into discouragement. Jesus, I trust in You. Many people carry very heavy burdens within their souls. On the surface, they may radiate with joy and peace. But within their souls, they may also have great pain. These two experiences of our interior and exterior are not in contradiction when we follow Christ. Often times Jesus allows us to feel a certain interior suffering while, at the same time, He brings forth the good fruit of exterior peace and joy through that suffering (See Diary #378). Is this your experience? Do you find that you can express yourself with great joy and peace in the presence of others even though your heart is filled with anguish and pain? If so, rest assured that joy and suffering are not mutually exclusive. Know that Jesus permits interior suffering at times so as to purify you and strengthen you. Continue to surrender that suffering and take joy in the opportunity you have to live a life of joy amidst such hardship. Lord, I thank You for the interior crosses I carry. I know that You will give me the grace I need to continue down the path of acceptance and joy. May the joy of Your presence in my life always shine forth as I carry each and every cross I have been given. Jesus, I trust in You. We are made for unity with one another. When there is a lack of unity, the effects are felt in families, communities and among nations. What is it that unites us more than anything? First and foremost, we are united with other souls through our Baptism (See Diary #391). Think about the most basic fact that you share an unbreakable bond with each and every person who is baptized into Christ Jesus. Regardless of whether or not another is embracing their baptismal calling, the unity still remains. Think about that unity and cling to it. Allow yourself to see each and every baptized person as a true brother or sister in Christ. This will change the way you think about them and act toward them. Lord, I thank You for the wonderful family You have created through the Sacrament of Baptism. I thank You that I am blessed to share in this family. Help me to love all Your children as a result of the simple fact that they are my brothers and sisters in You. Jesus, I trust in You. Only God knows what another truly needs. We cannot read another’s soul unless this special grace were given to us by God. But each of us is called to pray fervently for others. At times, if we are open, God will place on our hearts the need to pray fervently for another. If we feel called to enter into special prayers for another, we may also be surprised to find that God will suddenly open the door for a holy and heartfelt conversation that this person desperately needs (See Diary #396). Has God placed a certain person on your heart? Is there a particular person that often comes to mind? If so, pray for that person and tell God you are ready and willing to be there for that person if it be His Will. Then wait and pray some more. If God so desires, you will find that, at the right time and the right place, your openness to this person could make an eternal difference. Lord, give me a fervent heart of prayer. Help me to be open to those whom You place in my path. And as I pray for those in need, I make myself available to You to be used as You will. Jesus, I trust in You. If you wish to avoid the fierce hatred of the evil one, then refrain from striving for holiness. Satan will still hate you, but he will not hate you as much as the saint. But, of course, this is foolishness! Why would anyone avoid holiness so as to avoid the hatred of the evil one? It is true that the closer we come to God, the more the evil one will seek to destroy us. Though it’s good to be aware of this, it’s nothing to fear. In fact, attacks from the evil one should be seen as signs to us of our closeness to God (see Diary #412). Reflect, today, upon any ways that you have felt overwhelmed by fear. Very often, this fear is the fruit of you letting the trickery and malice of the evil one affect you. Instead of letting fear affect you, allow the evil that confronts you to be the cause of your increase in faith and trust in God. Evil will either tear us down or become an opportunity for us to grow in God’s grace and strength. Lord, fear is useless, what is needed is faith. Increase my faith, I pray, so that I will be daily under the control of Your gentle inspirations and not under the control of the fear caused by the attacks of the evil one. Jesus, I trust in You. If you dropped an object into the middle of the vast ocean you would know, with deep certainty, that this object would get wet. The immensity of the ocean would consume it. So it is with the Mercy of God. It is immense and infinite. Therefore, if you trust in His Mercy, you can have a deep certainty that you will obtain it (See Diary #420). Do you trust that God will bestow His infinite Mercy upon you? The goal is to be certain of this. We do not arrive at this certainty because of our own goodness; rather, we arrive at it as a result of the unfathomable and infinite Mercy of the Most Holy Trinity. Lord, I love You and I desire to trust in Your perfect Mercy to the point that there is no doubt in my mind and heart that You will bestow this precious gift. Help me to trust in Your Mercy because of Your infinite goodness. Purify me of all doubt, dear Lord, and help me to trust You more. Jesus, I trust in You. We can all, at times, have dreams of grandeur. What if I were rich and famous? What if I had great power in this world? What if I were the Pope or the President? But what we can be certain of is that God does have great things in mind for us. He calls us to a greatness we could never imagine. One problem that often arises is that, when we begin to sense what God wants of us, we run away and hide. God’s Divine Will often calls us out of our comfort zone and requires great trust of Him and abandonment to His Holy Will (See Diary #429). Are you open to what God wants of you? Are you willing to do whatever He asks? Often times we wait for Him to ask, then think about His request, and then become filled with fear over that request. But the key to fulfilling the Will of God is to say “Yes” to Him even before He asks anything of us. Surrendering to God, in a perpetual state of obedience, will free us from the fear we can be tempted with when overanalyzing the details of His glorious Will. Dear Lord, I say “Yes” to You this day. Whatever You ask of me, I will do. Wherever You lead me, I will go. Give me the grace of complete abandonment to You no matter what You ask. I offer myself to You so that the glorious purpose of my life may be fulfilled. Jesus, I trust in You. If you were asked to build a rocket ship from scratch, you may object stating that you are not competent in this area and, therefore, cannot do what you are being asked to do. We often have the same response to God regarding His Will. We can easily feel as though we are being asked too much by our Lord, but this is foolish thinking since our Lord would never ask us to do that which He will not also provide the grace to accomplish (See Diary #435). What is it that you feel unqualified to do? Perhaps it’s a matter within your family, or an activity you are called to assist with at church. Or perhaps our Lord has placed something on your heart that you avoid considering out of feelings of inadequacy. But if we trust Jesus, we must trust that we will be able to fulfill His perfect Will in our lives. We must trust that He would never call us to something beyond what we can accomplish through His grace. Lord, I say “Yes” to you again this day. I, once again, renew my commitment to fulfill Your holy Will. May I never let worry or a lack of confidence keep me from fulfilling the holy mission You have given to me. Jesus, I trust in You. When God calls us to fulfill some mission, who is at work? God or us? The truth is that we are both at work, God is the source and we are the instrument. We make a freewill effort, but it is God who shines through. Just as a window can act as a source of light in the house, it is not the window that shines, it is the Sun. Similarly, we must surrender ourselves to God so that He will shine through us, but we must always remember that we are only a window through which God will shine in our world (See Diary #438). Do you want God to shine through you brightly? Do you want His rays of love to radiate and enlighten others? If you do, then humble yourself so that you can become His instrument of grace. Recognize that you are nothing more than an instrument, not the source. Be open to the Source of all Grace and He will shine through with great power and splendor. Lord, I offer myself to You as a window for Your merciful Heart. Shine through me, dear Lord. May I be a true instrument of Your grace and may I always remember that You and You alone are the source of all grace and Mercy. Jesus, I trust in You. Why was it that Jesus suffered as He did? Why did He receive such a severe scourging? Why was His death so painful? Because sin has consequences and is the source of great pain. But Jesus’ voluntary and sinless embrace of suffering transformed human suffering so that it now has the power to purge us and free us from sin and all attachment to sin (See Diary #445). Do you realize that the extreme pain and suffering Jesus went through was on account of your own sin? It’s important to acknowledge that humbling fact. It’s important to see a direct connection between His suffering and your sin. But this should not be a cause of guilt or shame, it should be a cause of gratitude. Deep humility and gratitude. Lord, I thank You for all that You endured in Your holy Passion. I thank You for Your suffering and Cross. I thank You for redeeming suffering and transforming it into a source of salvation. Help me to allow the sufferings I endure to change my life and purge me of my sin. I unite my sufferings to Yours, dear Lord, and pray that You will use it for Your glory. Jesus, I trust in You. God smiles upon us and lavishes rewards upon us for the love we offer to Him and to others. Our works of love, when inspired by His grace, are transformed into treasures in Heaven. But that’s not all that is transformed into treasures. Even our desire to do good and to serve God is transformed. God sees all things, even our smallest sincere desires, and transforms all into grace (See Diary #450). What do you desire in life? What do you long for? Do you find that your desires are attached to sinful acts? Or do you find that your desires and longings are for the good things of Heaven and the works of God. Seek to transform even your desires and you will be richly blessed! Lord, I offer you my heart and every desire within it. Help me to long for You and for Your holy Will to be fulfilled in this world. May I desire what You desire and long for an abundance of Mercy in our world. Jesus, I trust in You. Very often, God wants to speak to You a particular message that you need to hear. It may happen that, as you listen to a homily, read a book, hear something on the radio or talk with a friend, something particular will jump out at you that does not seem to affect others. Pay attention to this inspiration, it is a gift to you of God’s Mercy and a revelation of His love for you (See Diary #456). Reflect upon anything, lately, that has gotten your attention. Have you heard something that seemed to be spoken just for you? Is there something that has been on your mind? If so, spend time with that thought and try to discern if it is from the Lord and what He may be saying to you through it. This may be God’s voice speaking to you and an act of His great Mercy. Lord, I desire to hear Your voice. Help me to be attentive to Your word as it is spoken to me. When You speak, help me to listen and to respond to You with generosity and love. Jesus, I trust in You. If you were God, and you had some glorious task you wanted accomplished, who would you choose? Someone with manifest gifts? Or someone who is weak, humble and appears to have very few natural gifts? Surprisingly, God most often chooses the weak for the greatest tasks. This is one way through which He is able to manifest His almighty power (See Diary #464). Reflect, today, upon whether you have a high and lofty view of yourself and your abilities. If so, be careful. God has a hard time using someone who thinks this way. Seek to see your lowliness and humble yourself before the glory of God. He wants to use you for great things, but only if you allow Him to be the one who acts in and through you. That way, the glory belongs with Him and the work is accomplished according to His perfect wisdom and is a fruit of His abundant Mercy. Lord, I offer myself for Your service. Help me to always come to You in humility, acknowledging my weakness and sin. In this humble state, please shine through so that Your glory and power will do great things. Jesus, I trust in You. Communion with the Trinity must be the central purpose of our lives. And though we may converse and speak words to Them, the deepest form of communication is beyond words. It’s a union, a giving of ourselves and a basking in Their Mercy. Knowing and conversing with the Trinity must take place in the depths of our souls through a language that is understood in a way that words cannot contain (See Diary #472). Do you know God? Do you know the Father, Son and Holy Spirit? Are you in daily communion with Them, speaking to Them, hearing Them? Reflect upon your knowledge of the Divine Persons of the Trinity. Each “speaks” in His own way. Each one calls to you, communing with you, loving you. Let your soul come to know the Persons of the Holy Trinity. A relationship with Them will fulfill the deepest longings of your soul. Most Holy Trinity, Father, Son and Holy Spirit, please come and dwell within my soul. Help me to know You and love You in the depths of my being. I desire to be in communion with You and to hear You speak Your mysterious language of love. Most Holy Trinity, I trust in You. Prayer is essential to our Christian walk. When you pray, it is good to speak from the heart, pouring out your soul to God. But prayer must also follow your faith and all you know of God. It must reflect your true knowledge of God and call upon His Mercy. The Chaplet of Divine Mercy is one such prayer that perfectly reflects your faith in the Mercy of God. (See Diary #475-476). Do you pray? Do you pray every day? Is your prayer centered in faith and truth, enabling you to continually call on the Mercy of God? If you do not pray the Chaplet of Divine Mercy, try it every day for a week. Be faithful and trust in the faith revealed in the words spoken. You will see the doors of God’s Mercy open if you commit yourself to this prayer. 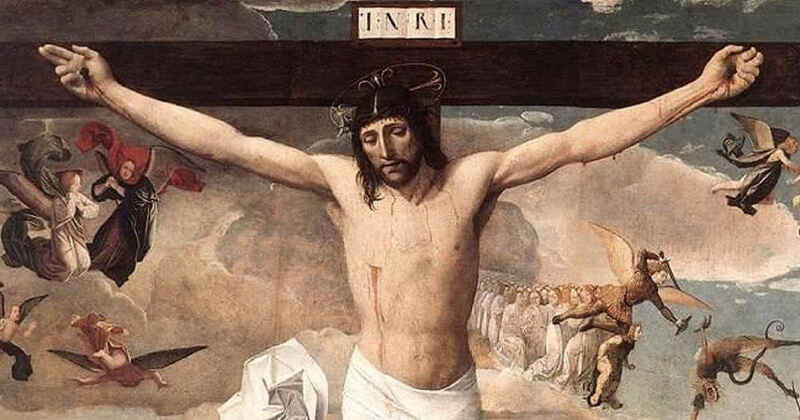 Eternal Father, I offer You the Body and Blood, Soul and Divinity of Your dearly beloved Son, Our Lord Jesus Christ, in atonement for our sins and those of the whole world. For the sake of His sorrowful Passion, have Mercy on us and on the whole world. Jesus, I trust in You. Each night, as you go to sleep, you are invited to sleep in the grace and Mercy of our Lord. You are invited to rest in His arms so as to be rejuvenated and refreshed. Sleep is an image of prayer and, in fact, can become a form of prayer. To rest is to rest in God. Every beat of your heart must become a prayer to God and every beat of His Heart must become the rhythm of your rest (See Diary #486). Do you sleep in the presence of God? Think about it. When you retire to bed, do you pray? Do you ask our Lord to surround you with His grace and to embrace you with His gentle arms? God has spoken to the saints of old through their dreams. He has put holy men and women into a deep rest so as to restore them and strengthen them. Try to invite our Lord into your mind and heart as you lay your head down to sleep, this night. And as you wake, let Him be the first one whom you greet. Allow each night’s rest to be a resting in His Divine Mercy. Lord, I thank You for the rhythm of each day. I thank You for the ways You walk with me throughout my day and I thank You for being with me while I rest. I offer to You, this night, my rest and my dreams. I invite You to hold me close to You, that Your Heart of Mercy may be the gentle sound which soothes my weary soul. Jesus, I trust in You. God sends to us His representatives in the person of His priests. Though priests are not perfect, they are God’s representatives nonetheless. This is especially true in the Sacrament of Reconciliation. It’s essential that we approach that Sacrament with confidence and honesty. We must allow the confessor to see the sin in our souls so that he can enter, cleanse and heal by the sacred power of absolution (See Diary #494-496). Do you go to confession? If so, how often? Do you clean your house more often than you clean your soul? The Lord has given you an immeasurable gift in the Sacrament of Reconciliation. He invites you to receive this gift with an open heart. Do not fear this invitation; rather, run to it with eager anticipation of the many graces our Lord wishes to bestow. And do so as regularly as you can. Lord, why do I fear Your Mercy as it is bestowed through the Sacrament of Reconciliation? Why do I fear Your sacred Mercy poured forth through the act of absolution? Give me courage and humility so that I may confess my sins clearly and completely and so be cleansed and restored to Your Heart. Jesus, I trust in You. God has spoken to the saints in numerous ways including through many interior graces and inspirations. But even the greatest mystic, living on the heights of holiness, must ultimately submit to the Voice of God spoken through His Church. The Church, especially in the person of our Holy Father, is the clearest channel of the Voice of God in our world. Through the Church we will be led to Heaven. We must always strive to be in perfect union with Christ as He is alive and made manifest to us through His Church. We must let ourselves be led by God through our bishops, pastors and all to whom He has entrusted our pastoral care. Giving authority to the Church was God’s idea and plan; it must also become ours (See Diary #497). Do you see the wisdom of the plan of God as He has chosen to reveal Himself to us through the Church? Do you believe in the Church as the Mother and Teacher of your faith? Do you especially trust in the words of our Holy Father, the Pope? Make an act of faith, this day, putting your wholehearted trust in the Voice of God spoken through His Church and you will begin to more fully understand the countless mysteries of life that God has revealed. Dear Lord, I desire to be obedient to You in all things. I desire to hear Your Voice and follow Your commands. Help me to have the wisdom to discern You speaking and acting through Your Church. May I see beyond the person of the priest, bishop and the Holy Father so as to discover Your guiding hand. Jesus, I trust in You. When a child is frightened or gets hurt, the natural place of comfort is the arms of a parent. This is the first thing a crying child looks for. So it must be with us. The arms of our Father in Heaven, and Jesus our Savior, are what we must run to in our need. We should not hesitate to turn to God in all things, especially when tempted to despair, or when we recognize our weakness and sin (See Diary #505). When burdens weigh you down, or when you get angry or are tempted to despair, where do you turn? Some turn to sinful fleshly comforts, others to harsh words, and others run to God. Run to God in every moment! Ideally, we run to Him when life is good and when we are filled with great joy and consolation. But God also wants us to run to Him, immediately, when life is hard. Make the arms of God the first thing you think about when you find yourself in need. Lord, I do run to You. I pray that I will daily build a habit of running to You in all things. I pray that I will turn to You with my every need. I cling to You, Divine Lord, and seek to rely upon You always. Jesus, I trust in You. The Mercy of the Heart of Jesus shines forth with great radiance. This was the image of Divine Mercy seen by Saint Faustina. The open Heart of our Lord burst forth with an outpouring of light and grace on the world. Jesus wants to continue to shine forth on the world, and He wants to rest in your heart so that He may shine on others through you (See Diary #514). What is in your heart? Is it bitterness and pain? Is it sin and darkness? Or is it the Heart of our Lord? Does Jesus live in your heart? These questions are so very important to answer honestly. If you cannot honestly say that the Heart of Jesus rests in your heart, then this is an important revelation to ponder. Seek to let His Heart melt away any sin and dispel any darkness. In their place, let His light shine forth. When the Heart of Jesus rests in yours, your heart will radiate Mercy and bathe others in its rays. Lord, as I look at my heart, I see sin and darkness at times. Come live in my heart, dispel all darkness and wipe away all sin. As You take possession of my heart, shine forth Your Divine rays of Mercy upon me, and upon a world in need. I give my heart to You, dear Lord. Jesus, I trust in You. The devil will tempt us in many ways. One common way the devil likes to attack us is to remind us of our sins, including those we have confessed. He loves to try to convince us that we are on the wrong path, that we are not pleasing to God, that we are liars and sinners. And while it’s true that we are sinners, the evil one always fails to see our sin through the lens of God’s Mercy. To overcome his deceptive temptations, while he reminds us of our sins, we need only to remind ourselves of the Mercy of the Heart of Jesus. As we gaze upon His Heart, we will have no fear about admitting our sin. This act of honesty will not produce anxiety, despair and doubt as the evil one desires. Instead, facing our sin in the light of the Mercy of God, will refresh us and lift our spirits, filling them with an abundance of hope (See Diary #520). Think about the ways that the evil one may tempt you to despair over your sins. To mourn for your sins is a good and healthy act, but never in despair. Christian mourning leads to the Mercy of God, and the contrition you feel in this holy act lifts your burden and fills you with joy. Precious Lord, free me from the deceit and attacks of the evil one. Keep me safe, oh God, and help me to never forget the abundance of Your Mercy. As I see that Mercy, help me to daily repent of my sin so as to rob from the evil one all weapons of his malice. Jesus, I trust in You.